ADMINISTRE SU TIEMPO EFICAZMENTE EN UNA SEMANA, Robert M. Hochheisser. ANALÍTICA WEB EN UNA SEMANA, Tristán Elosegui y Gemma Muñoz. APRENDA A ANALIZAR LOS ESTADOS FINANCIEROS EN UNA SEMANA, Roger Mason, 2008. APRENDA A COMUNICARSE CON ÉXITO EN EL TRABAJO EN UNA SEMANA, J. Macdonald y Steve Tanner, 2001. APRENDA A CONFIAR EN SÍ MISMO EN UNA SEMANA, D. Michelli, 2000. APRENDA A EVALUAR EL RENDIMIENTO DE SUS EMPLEADOS EN UNA SEMANA, Di Kamp, 2000. APRENDA A GANAR DINERO CON EL COMERCIO ELECTRÓNICO EN UNA SEMANA, D. Howell, 2002. APRENDA A HABLAR EN PÚBLICO EN UNA SEMANA, Peel Malcom, 2000. APRENDA INVESTIGACIÓN DE MERCADOS EN UNA SEMANA, Pily Bird, 2008. APRENDA A MOTIVARSE A SÍ MISMO EN UNA SEMANA, C.H. Harvey, 2000. 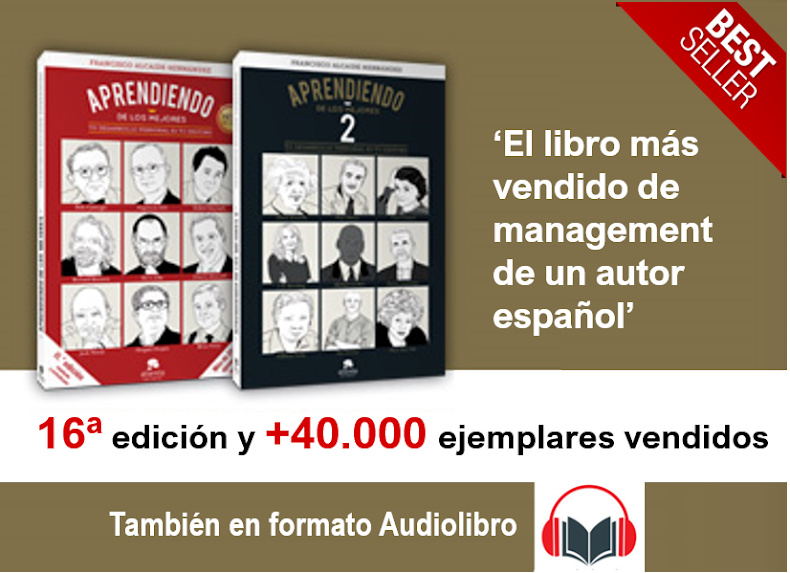 | Casa del Libro | Amazon.es |. APRENDA A NEGOCIAR CON ÉXITO EN UNA SEMANA, Peter Fleming, 2000. APRENDA A PLANIFICAR SU CARRERA PROFESIONAL EN UNA SEMANA, W.Hirsh y C.Jackson, 2001. APRENDA A POTENCIAR SU CAPACIDAD MENTAL EN UNA SEMANA, Hangcock y Buggy, 2002. APRENDA A REDACTAR INFORMES EN UNA SEMANA, Katharine Heritage, 2001. APRENDA A SELECCIONAR PERSONAL EFICAZMENTE EN UNA SEMANA, Manuel Olleros, 2002. APRENDA A TRATAR CON GENTE CONFLICTIVA EN UNA SEMANA, B.Salter y N.Langford-Wood, 2006. APRENDA LAS CLAVES DE LA INTELIGENCIA EMOCIONAL EN UNA SEMANA, Jil Dann, 2003. APRENDA LAS CLAVES DEL BENCHMARKING EN UNA SEMANA, Steve Tanner y John Macdonald, 2006. APRENDER LAS CLAVES DEL CRM EN UNA SEMANA, Brian Salter y Naomi Langford-Wood, 2005. APRENDA LOS SECRETOS DE UNA DIRECCIÓN EFICAZ EN UNA SEMANA, C. Oconnor. APRENDA LOS SECRETOS DEL MARKETING EN UNA SEMANA, A. Davies y E. Davies, 2000. APRENDA A ESCRIBIR CARTAS COMERCIALES EN UNA SEMANA, Steve Morris y Graham Willocks, 2006. APRENDER A EXTERNALIZAR EN UNA SEMANA, Jacqueline Chapman, 2005. APRENDER LAS CLAVES DEL LENGUAJE CORPORAL EN UNA SEMANA, Geoff Ribbens y Richard Thompson, 2002. BUSCAR TRABAJO EN UNA SEMANA, Jerónimo de Andreu, 2010. CLAVES PARA ENCONTRAR EMPLEO EN UNA SEMANA, P.Scudamore y H.Catt, 2005. COMMUNITY MANAGEMENT EN UNA SEMANA, Pedro Rojas, 2011. CÓMO AUMENTAR LOS BENEFICIOS EN UNA SEMANA, Tim Levey, 2005. CÓMO CONFECCIONAR UN PLAN DE NEGOCIO EN UNA SEMANA, Ian Maitlan, 2004. CÓMO CONSEGUIR UNA BUENA WEB EN UNA SEMANA, Steve Morris y Paul Dickinson, 2001. CÓMO CONTROLAR EFICAZMENTE EL ESTRÉS EN UNA SEMANA, Cary Cooper, 2002. CÓMO DIRIGIR EQUIPOS DE VENTA EN UNA SEMANA, Andrea Newton, 2005. CÓMO REDACTAR SU CURRÍCULUM VITAE EN UNA SEMANA, Steve Morris y Graham Willcoks, 2004. 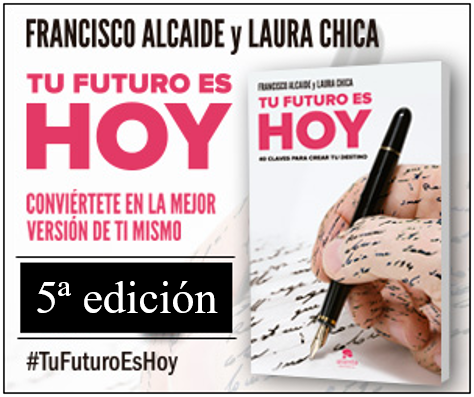 | Casa del Libro | Amazon.es | Amazon.com | . CÓMO SACARLE MAYOR PARTIDO A SU IMAGEN EN UNA SEMANA, Laurel Herman, 2002. CONSIGA CONTROLAR LOS CRÉDITOS EN UNA SEMANA, Roger Mason, 2004. COMPRENDER EL COMPORTAMIENTO DE LOS CONSUMIDORES EN UNA SEMANA, Susan Cave, 2005. CONTROLE SU MAL HUMOR Y EL LOS DEMÁS EN UNA SEMANA, Sandy Mann, 2006. CORREO ELECTRÓNICO EN UNA SEMANA, Alberto Benbunan. CREAR UNA BUENA MARCA EN UNA SEMANA, Peter Laver, 2005. CUADRO DE MANDO INTEGRAL EN UNA SEMANA, Mike Bourne y Pippa Bourne, 2003. DOMINAR LAS TÉCNICAS DEL COACHING EN UNA SEMANA, Gestion 2000, 2005. GESTIÓN DE PROYECTOS EN UNA SEMANA, Mark Brown, 2005. HÁBITOS DE TRABAJO EFECTIVOS EN UNA SEMANA, Jane Smith, 2005. HABLAR EN PÚBLICO EN UNA SEMANA, J.M. Palomares, 2011. IDEAS PARA ROBAR: SECRETOS DE MARKETING QUE LE CONVERTIRÁN EN UNA ESTRELLA, Steve Cone. LECTURA RÁPIDA EN UNA SEMANA, Tina Konstant, 2005. LIDERAZGO EN UNA SEMANA, Carol O´Connor, 2006. LLÉVESE BIEN CON SU JEFE EN UNA SEMANA, Sandi Mann, 2002. MARKETING 2.0. EN UNA SEMANA, Eva Sanagustín, 2010. MARKETING DIRECTO EN UNA SEMANA, Dee Twomey, 2005. ORGANIZAR UN ACTO CON ÉXITO EN UNA SEMANA, Brian Salter y Naomi Langford-Wood, 2004. PNL EN UNA SEMANA, Philipe Turchet, 2005. POTENCIE SU MEMORIA EN UNA SEMANA, C, Lapp. PREPARE UN PLAN DE MARKETING EN UNA SEMANA, Ros Jay. PROYECTE UNA IMAGEN POSITIVA EN UNA SEMANA, Marylin Pincus, 2001. REDES SOCIALES EN UNA SEMANA, Cristina Aced, 2010. RESOLVER CONFLICTOS EN UNA SEMANA, John MacDonald. RETENER Y FIDELIZAR CLIENTES EN UNA SEMANA, Jane Smith, 2002. RETENGA CON ÉXITO A SUS EMPLEADOS EN UNA SEMANA, Sue Browell, 2002. STORYTELLING EN UNA SEMANA, Antonio Núñez, 2011. SUPERAR CON ÉXITO LAS ENTREVISTAS EN UNA SEMANA, Alison Straw y Mo Shapiro, 2004. TWITTER EN UNA SEMANA, Francesc Grau, 2011.